Original script for the BBC episode "Things that go bump in the night !". 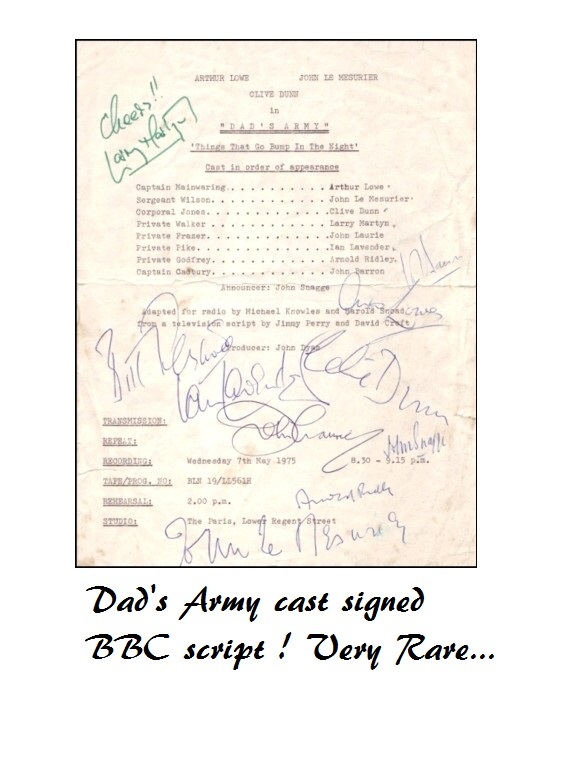 This script belonged to Larry Martyn, who took over the role of Pvt Walker just after James Beck died, to complete the BBC radio series. 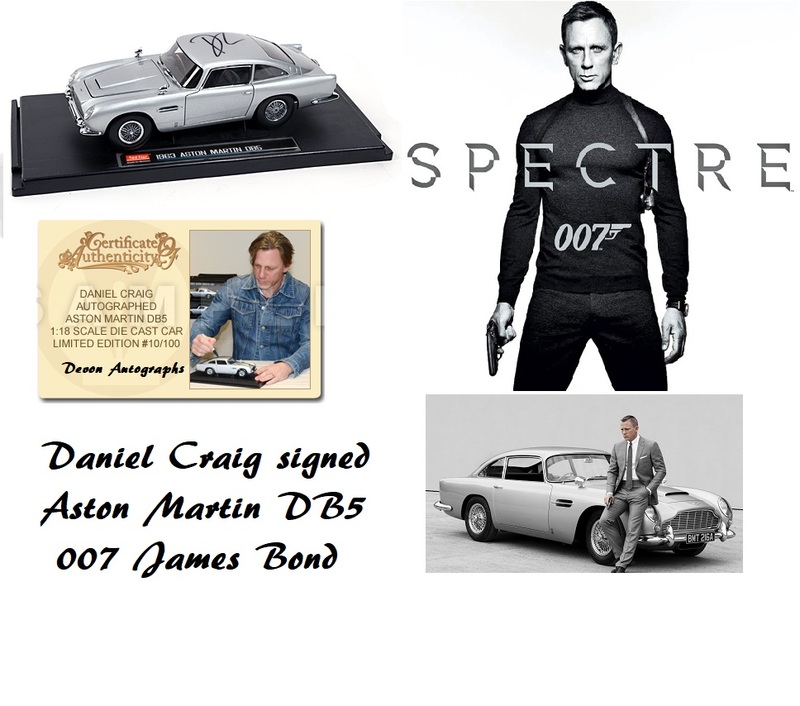 His autograph is even more scarce than James Beck as not as rarely signed. Larry Martyn has signed both the script and the script cover (as shown). Only Ian Lavender survives now, making it very rare and highly desirable.